I’ve been luck enough to have been chosen by The Pen Company, together with several other bloggers, to receive stationery to try out. 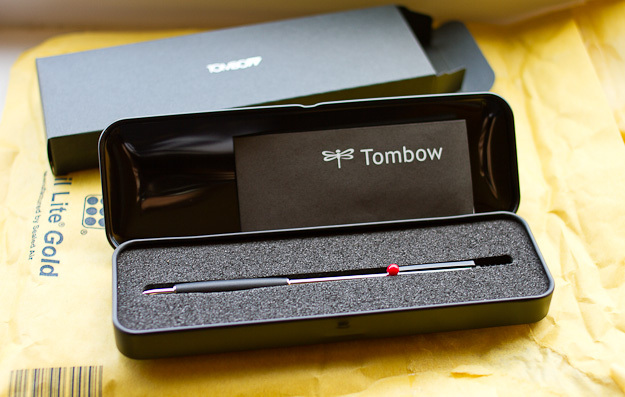 Here’s my blog post about the Tombow mechanical pencil they sent me, originally posted on The Pen Company’s blog. Do you remember what you did in 1987? If you were living in the USA you were lucky enough to be able to watch Star Trek: The Next Generation. The UK and Germany got TNG a few years later, in 1990. If you’re more into computers: the Amiga 500 was also released in this year. ..and in the world of pencils 1987 was the year the Tombow Zoom 707 mechanical pencil, designed by Mr Tsuyoshi Hasegawa, was launched in Japan, one year after the ballpoint pen of the same series came out. It only took another year before the Zoom 707 was released in Europe – in 1988. Over the next years it won three design award in Germany: the Red Dot Design Award in 1988, the Design Plus Award in 1989 and the Baden-Württemberg International Design Award in 1990. Despite this pencil being so long on the market I didn’t know about it until recently. I got my Zoom 707 from The Pen Company as part of their programme where they send pens to stationery blogs for review. I even got the de Luxe version, which was launched in 1994. Tombow describes the de Luxe version, which sells for £28.60, around £10 more than the standard version, as being “glossy silver”. 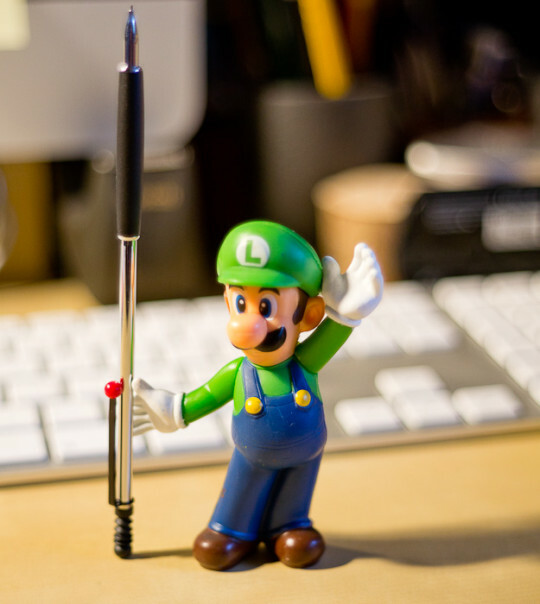 I’ve got to be honest here, I would have never ordered this pen. The slim design doesn’t look very uncomfortable to me, so I didn’t have particularly high expectation when I started using this pen. To my surprise it was much more comfortable than expected. The rubber grip section of the pen has a diameter of 6.5mm and is not too far off a Tombow pencil’s diameter: the Tombow Mono 100 wood-cased pencil has a diameter of 7.2mm. Build quality is excellent, but the red ball at the end of the clip and the rubber at the end of the pen show parting lines, and except the look the pencil behaves very similar to your typical mechanical pencil: with around 10g the weight is similar to other mechanical pencils. One click will advance the by about 0.6mm, which is also pretty standard and it also uses a ratchet mechanism like many other mechanical pencils. The pen comes in a nice presentation tin and with a lifelong warranty. It doesn’t come with instructions, though, and since I’ve used mechanical pencils in that past that have to be refilled through the tip I wasn’t sure how to refill this pen. It’s size and the fact that my careful attempt to remove the push top (I didn’t want to damage the pen) were not successful didn’t help either. The push top can however be removed, to be refilled. My pen came with three leads, but despite is slim design I managed to squeeze eight leads into the pen. The Zoom 707 is one of those pens that ages well. Despite being more than 25 years old it doesn’t look old fashioned. As far as I know this pencil is selling well. I wonder how most people are using this pencil. Its two main attributes, the slim size and the sturdiness (thanks to its metal body), make it a pencil that is probably more suitable than others to be a diary pencil, the kind of pencil you clip to your diary and leave it there to fulfil this specific purpose. I would like to thank The Pen Company for this pencil and Mrs. Balsewicz from Tombow Europe for the information she has provided about the Zoom 707. Hi! I’m a university student of IUAV in Venice, I have to do a very long research of this pen and I would to ask you more information because in internet I can’t find much. For example you said that the designer is Mr Tsuyoshi Hasegawa, where you have find it? And you spoke about the price, have you more information about the original price? Is it changes? You said that Tomboy Europe gave you information about the pen, are you so kind to share it with me? Hi Anna, this blog post is several years old, so I don’t remember the details. 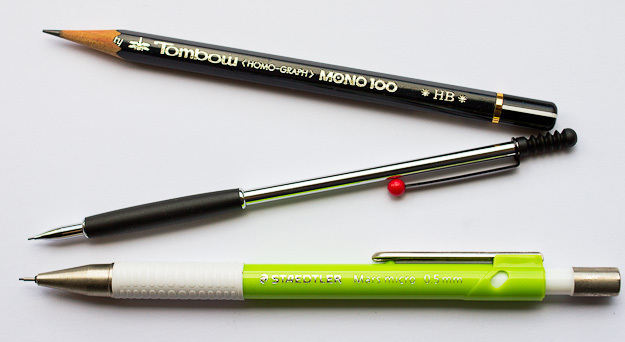 It might be easiest and quickest if you contact Tombow yourself. Good luck for your assignment. What module / course is it for? Thanks for your answer! It’s for a course of history of design, I’m in the first year of university. I tried to contact Tombow but nobody answered me. Are you so kind to search through your old notes or old emails, any information or contact could help me!